If you see hordes of nerds in Avengers cosplay standing outside your local phone shop next week, well, now you know why. 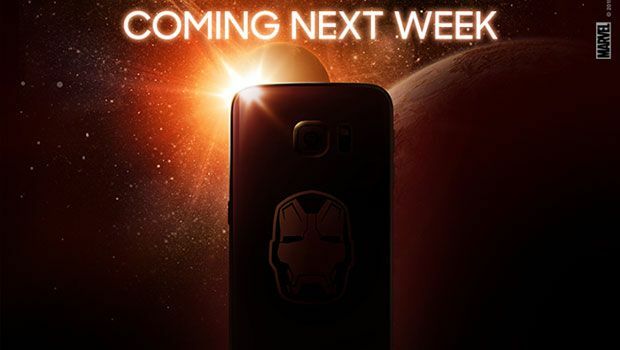 Samsung has confirmed that the Galaxy S6 Edge Iron Man edition will go on sale next week, and has even shared a teaser image to whet our appetite. Details about the Galaxy S6 Edge Iron Man edition has been slowly trickling out, but now Samsung has confirmed that the superhero-skinned handset will hit shops next week. The Galaxy S6 maker posted a teaser image on its official Korean Facebook page, confirming that the special edition flagship is “coming next week”. We also now know, thanks to the new render, that the phone will feature an Iron Man mask on the back. So if you're not a major fan of Tony Stark's superhero alter ego, then you may not want to flaunt his robot head around the office. Although, we don't know much on availability. Samsung announced last week that the Iron Man S6 Edge would be offered in a variety of regions, so let's hope one of those is the UK. The phone will feature an Iron Man-themed look, complete with a red front and rear and gold edging. Apart from the respray though, we don't expect any changes in the hardware department. Like the original version, the Iron Man S6 Edge is expected to adopt a 5.1-inch 2560 x 1440 pixel QHD display which curves around both the phone's left and right-hand edges. This will be paired with a 16-megapixel, OIS-enhanced primary camera, a 64-bit Exynos chip and 3GB of RAM.